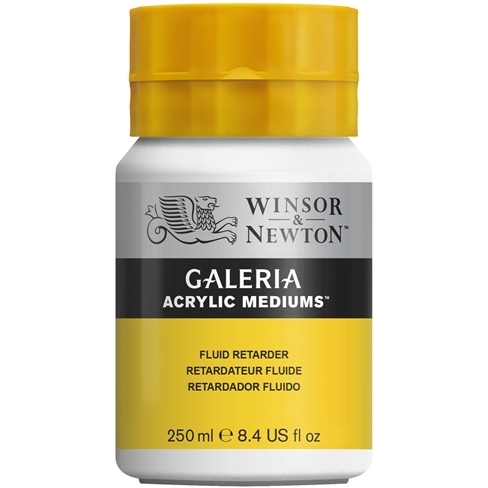 For extending the drying and working time of acrylic colours. Small amounts (a few drops) will allow for extended blending and manipulation. Fluid Retarder does not contain sufficient acrylic resin to act as additional “binder” and should be used only in the amount needed to achieve the desired effect.